Horses are all unique, with their own personalities, feelings and reactions. Sometimes, unfortunately, certain situations could cause your steed to become stressed out or anxious. 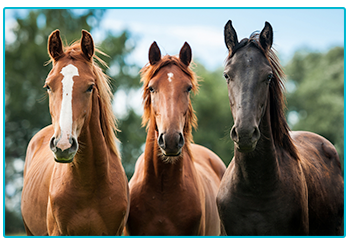 For this reason, calming supplements for horses have been growing in popularity. At The Insurance Emporium, we want to know how things like this affect your four-legged friend. 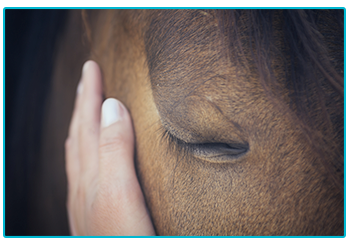 That’s why we spoke to our horse health expert about equine calming supplements. Situations like travelling, competing and moving premises are just a few things that have been known to cause stress or anxiety among some horses. Anxiety can lead to difficulties with handling, dangerous behaviour and injuries, which is when calming supplements might be useful. While there are many supplements available that claim to have a calming effect, check the ingredients list before deciding which one is best for your horse. Base your choices on the outcome of clinical trials and don’t be fooled by clever marketing. Also, be careful not to over supplement your horse where there is no deficiency as this could create problems. You might notice that a lot of calmers have similar ingredients, with magnesium being a particularly common one. Magnesium is involved in the transmission of nerve impulses and studies suggest that it may have limited benefits at the dosage provided by oral supplements. If your horse’s diet doesn’t have enough magnesium, it might be a useful ingredient to reduce anxiety. However, if your horse is over supplemented with magnesium then this could affect their calcium metabolism. So, do be careful with the dosage! One amino acid that is often found in calmers is tryptophan. It is a precursor for serotonin, which helps with happiness, calm and relaxation. However, some studies indicate that low doses of tryptophan can cause mild excitement and higher doses can affect horses’ ability to perform. Nutritionists advise that you get the dosage of tryptophan right for it to be effective. B vitamins are also associated with serotonin production, which is why they are often present in calmers containing tryptophan. However, as of yet, there aren’t any clinical trials that show B vitamins have an anxiolytic effect in horses. 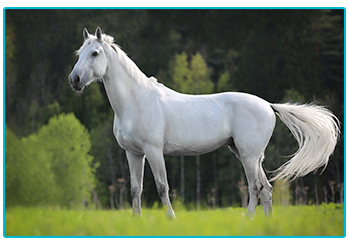 A natural herbal product that could have an anxiolytic effect on your horse is valerian. This extract comes from a plant of the same name and is sometimes used in sleeping tablets for humans. Horse owners also have had success in calming their horses after feeding them valerian. However, if you have a competition horse that is affiliated with the FEI, you should ensure that any calmer you give your horse does not contain valerian. This is because this herb is on the federation’s list of prohibited substances. Something that is sometimes added to a horse’s diet to aid its digestion, and that could also be useful addition to calming supplements, is yeast. This is because of the effect that it has on acidity in the hindgut, which has been linked to anxiety. Yeast is thought to be beneficial for the hindgut environment in general and to improve the acid-base balance. For this reason, this microorganism could aid in calming your horse. At The Insurance Emporium, we want the best for your horse and some equines do benefit from calming supplements. If you think your four-legged friend could benefit from using calmers then why not give it a try? However, please note that we don’t cover food supplements or behavioural issues. Getting the right calming supplement for your horse could be useful for reducing their stress and anxiety. Certainly, some owners might look into this method to ensure their four-legged friend feels happy and at ease. However, do consider things carefully if you’re thinking about selecting a calming supplement for your steed to use. If you have any concerns at all then contact your vet for advice.